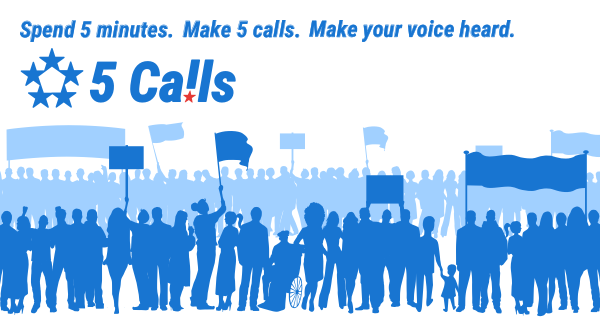 A service for US citizens that suggest five phone calls they can make at any time—based on their location—to influence their representatives. Calling is the most effective way to influence your representative. 5 Calls gives you contacts and scripts so calling is quick and easy. We use your location to give you your local representatives so your calls are more impactful.